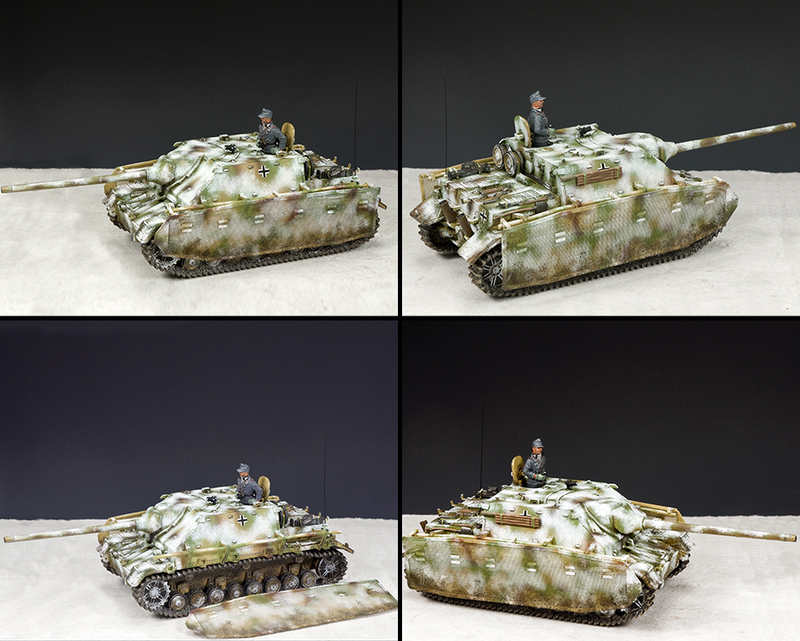 Whenever K&C produce a ‘summer’ version of an armoured vehicle (especially German ones) it does not take long before collectors contact us to request the same vehicle in ‘winter garb’ suitable for either ‘Battle of the Bulge’ or the ‘Eastern Front’. 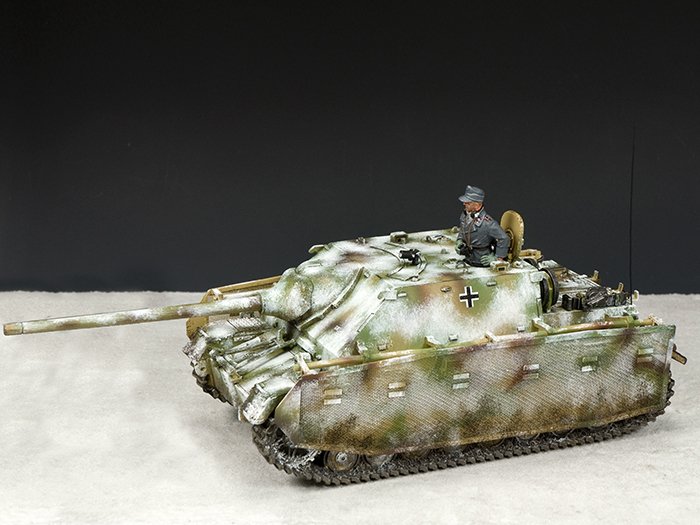 Well, here is the snow-camouflaged self-propelled gun as requested and there are just 150 of them. So, grab them while you can. As noted in our original version the metal mesh side-screens are removable so collectors can choose how they wish to portray the vehicle.